Satisfy your craving for luxurious pearls and unique artisan design with the Italia Baroque Pearl Ring. Here, our Italian artisan serves up a luminous Baroque pearl in an equisite free form setting of sterling silver finished in Italian yellow gold. 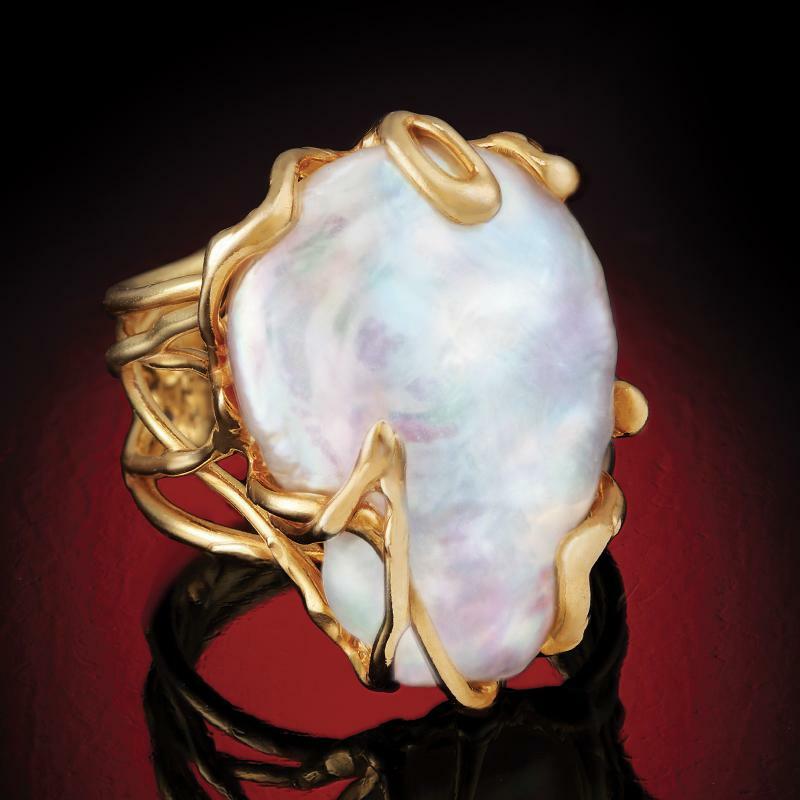 As Baroque pearls are unique in nature, size and shape will vary slightly, ensuring you a one-of-a-kind ring.